~Support~ | O, Mourning Star. . . If there is any support resource you feel you would like to contribute or that you would like to see on this page, please don’t hesitate to message me. Yell at what you are breaking and tell it why you are angry, hurt, upset, etc. Colour in a picture or colouring book. Pick a subject and research it on the web – alternatively, pick something to research and then keep clicking on links, trying to get as far away from the original topic as you can. Take a small step towards a goal you have. Lay on your back in bed comfortably (eyes closed), and breathe in for 4, hold for 2, out for 4, hold for 2. Make sure to fill your belly up with air, not your chest. If your shoulders are going up, keep working on it. When you’re comfortable breathing, put your hand on your belly and rub up and down in time with your breathing. If your mind wanders to other things, move it back to focusing ONLY on the synchronized movement of your hand and breathing. The Butterfly project- draw a butterfly on the place(s) that you would self harm and if the butterfly fades without self-harming, it means it has lived and flown away, giving a sense of achievement. Whereas if you do self-harm with the butterfly there; you will have to wash it off. If that does happen, you can start again by drawing a new one on. You can name the butterfly after someone you love. Write the name of a loved one [a friend, family member, or anyone else who cares about you] and write their name where you want to self harm. When you go to self harm remember how much they care and wouldn’t want you to harm yourself. think about what you would say to a friend who was struggling with the same things you are and try to be a good friend to yourself. Make a bracelet out duct tape, and put a line on it every day (Or any period of time) you go without self harm. When it’s full of lines, take it off and make a chain out of all the bracelets and hang it up somewhere where you can be reminded of your great progress. Feeling the need to self injure? Please take a look at these posts: 24 ways to avoid self injury & Alternatives to self harm. Check out this support community for individuals who self harm recover your life. Help Guide A site containing articles to help understand, help numbers, “tool kits”, and self help. Understanding self injury is a text post that explains that self injury is an addiction and the different forms of self injury. Mental Support Community A forum to talk about self harm and how it affects your life. Here is a post about understanding self-injury, the reasons why it occurs and the forms it can take. when you feel like you want to cut, take a marker or pen and draw a butterfly on wherever the self-harm occurs. name the butterfly after a loved one, or someone that really wants you to get better. NO scrubbing the butterfly off. if you cut before the butterfly is gone, it dies. if you don’t cut, it lives. if you have more than one, cutting kills them all. another person may draw them on you. these butterflies are extra special. take good care of them. even if you don’t cut, feel free to draw a butterfly anyways, to show your support. if you do this, name it after someone you know that is suffering right now, and tell them. it could help. 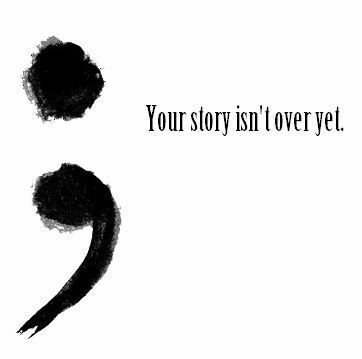 Over time the paper chain will grow in length and you can see your progress, and see that even if you do relapse, the are still days you go without hurting yourself. The colorful links. Over time and through your recovery watch the amount of colored links begin to increase, and the amount of white links begin to decrease. DELAY: delay giving in to the urge for a set amount of time. Write down this amount of time and set a timer. DISTRACT: do an activity that will occupy your thoughts and use your physical energy. Write a list of things you could do. DECIDE: after the set time period, decide how you’re going to respond to the urge. Write down: advantages, disadvantages, reasons you want to stop, life goals. You can also try distracting your mind. Do something where you are able to focus you mind on and be physical at the same time whenever you feel the urge to cut coming on. Exercise: yoga, Pilates zumba, dance, jogging, and if you have a gym membership go there. Take a leisurely stroll through a park or even your neighborhood. If you have a pet, try to teach them a trick. Watch a crappy movie marathon, or have a marathon of your favorite show. go out with friends, or call up your boyfriend and see if you can spend some time together (nothing special just hang out). Start a grateful journal where everyday you write down three: good things that happened/ things that you accomplished/ are grateful for/ made you smile. Make sure the journal is strictly for positive things. Then when you feel down you can go back and look at it. 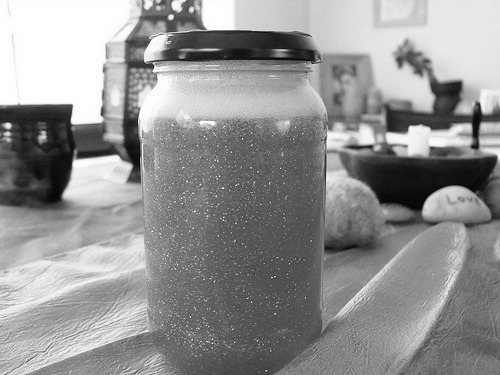 I was taught about glitter jars during my time as an inpatient. I learnt the magic of glitter during a self-soothe class as part of an emotional coping skills lesson. There’s no science, no counting, no acceptance and no forceful methods involved in the alteration of your emotions during use of the glitter jar – just distraction. Add the water and vegetable oil together. Add a few drops of food coloring, all of the glitter and anything else shiny. Put the lid on (tight!) and shake it. When you want to cut / binge / scream / cry, shake the glitter jar and watch until the glitter is settled. It’ll calm you and hopefully the emotion will pass. This is taken from joyproject.org. Flashbacks are memories of past traumas. They can occur in a number of different forms – as sounds, images, smells, body sensations, numbness (or a lack of sensations). Often they’re accompanied by a feeling panic, where the individual feels trapped and completely powerless. Flashbacks can also occur in dreams. Because the sensations are so frightening and intense – and are unrelated to what’s happening in the present – the person often feels as if they’re going crazy. 1. Tell yourself that you are having a flashback – that it will pass in time – and soon everything will return to normal. 2. Remind yourself that the worst is over – as these terrifying feelings are re-experienced memories. The event that took place is now lodged in the past, and you managed to survive it, and will survive it now. 3. Allow yourself to express the powerful feelings of terror, panic, hurt and/or rage. It is right that you honor your experience. 4. Ground yourself firmly in the here-and-now. Breathe deeply. Notice the sounds and sensations around you in the room. Allow the feelings of panic and terror to slowly dissipate. Keep breathing deeply, and exhaling deliberately. Allow a sense of calm to gradually replace the faintness, shakiness, dizziness and tightness. 5. Reorient yourself. Keep focusing on what you can see, hear, feel, smell, touch and feel in the present. Feel the chair supporting you. Use your five senses to bring you back to this point in time. 6. Speak to your terrified inner child. Reassure them that they are going to be OK. Tell them they are safe in the present. They are not trapped. They can escape at any time. 7. Seek professional support to deal with your flashbacks. Find an experienced therapist who is trained to guide you to a place of healing. You do not have to do cope with this alone. There is help available for you. 1. Ask yourself: What would I do if I could only do one thing for the rest of my life? What do I really love doing? What would I do, even if I didn’t get paid to do it? What would I do if money wasn’t’t a consideration? 2. Could something you do as a hobby now be turned into a full time career? 3. Is there a way of combining your talents? For example, could you combine your interests in photography and blogging – and create a new kind of photography blog – and possibly a blog that also makes you money? 4. Try experimenting with lots of different interests – even things you hadn’t thought of before – and see of any of them appeal. 5. Talk to other people who are driven by their passion. Ask them how they found out what their passion was – and ask them for tips to help you find yours, too. 1. Resist the urge to judge or assume. 3. Maintain a positive boundary. Help them feel more positive, not act more positive–which is more likely to create the desired result. 5. Don’t take it personally, but know that sometimes it is personal. Conventional wisdom suggests that you should never take things personally when you deal with a negative person. I think it’s a little more complicated than that. You can’t write off everything someone says about you just because the person is insensitive or tactless. Even an abrasive person may have a valid point. Try to weigh their comments with a willingness to learn. Accept that you don’t deserve the excessive emotions in someone’s tone, but weigh their ideas with a willingness to learn. Some of the most useful lessons I’ve learned came from people I wished weren’t right. You can’t always saved the world, but you can make the world a better place by working on yourself–by becoming self-aware, tapping into your compassion, and protecting your positive space. You may even help negative people by fostering a sense of peace within yourself that their negativity can’t pierce. I really do appreciate it :) I have this page bookmarked so that I can provide it to those people who come my way with any negative thoughts. Definitely a wonderful page of resources :) You rock!